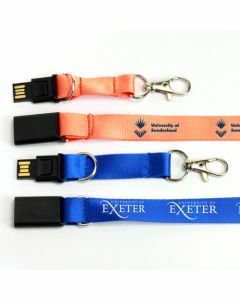 The Lanyard & USB Set is perfect for Schools, Universities and Colleges and offers full customisation on each individual component, from the USB stick and lanyard all the way down to the detail on the card itself. 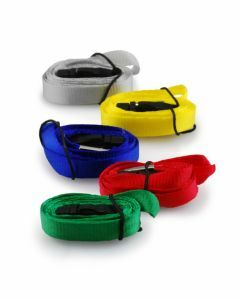 Perfect as a promotional product for open days and other events or just for general day-to-day use. The USBs and card element can be printed onto in full colour. The USB and lanyard can also be pantone matched where possible (subject to ordering a minimum of a 1000 or more). There are 13 standard colours available for the Twister USB of which you can view here, as well as 20 standard colours for the lanyards which are available to view on this document. If you need printed USB flash drives or Power Banks fast don't panic, we can help! Providing that you have your artwork ready, you can confirm an order, and you can turnaround a proof approval quickly, then we can supply printed or engraved products in just 24 hours. 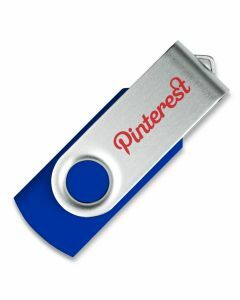 Yes, that's printed USBs, Power Banks, Packaging or Tech Gifts in your hands with your logo on in as little as 24 hours. All this is available for you because of our in house printing facilities, UK stock and dedicated staff. We offer one of the most extensive ranges of USB flash drives, Power Banks and branded technology products in the market. Most of these are showcased on our website, but it is not always possible to list every product that we have available. So if you are looking for something in a hurry that you can't see on the site please contact us as we are likely to be able to supply it. *Excludes overseas payments and consumer transactions. When you place your first order with us, we kindly request payment prior to dispatch – not in advance with the order*. For all subsequent orders we are happy to offer 30 day credit terms, subject to application approval. For schools, universities and any UK government bodies we offer immediate 30 day terms with no application necessary. We can supply FREE, unbranded gift boxes to house your branded flash drives on request. In addition to this we offer a wide range of presentation boxes that can be printed with your logo to complement your new branded USB flash drives. We carry plenty of packaging in UK stock so even if it’s just an afterthought; don’t be afraid to ask for a quote. Presentation makes all the difference. We offer free delivery to one UK mainland address. This applies to all standard delivery orders regardless of order quantity, style or memory size. This way you know what your costs are up front, without any hidden delivery fees! Your order will be sent by UPS guaranteed next day service or Royal Mail Special Delivery, however if you need same day courier or any other special requirements we can accommodate them at an additional charge. The minimum order quantity for all of our standard products is 25 units, but if you need less than this please call as we may be able to help. The minimum order for fully bespoke custom USBs is just 100 units and custom Power Banks 250 units. All of our products come with free colour printing or laser engraving as standard. This means that you can take advantage of up to 4 spot colours printed on both sides without any additional set up costs! The products themselves are available in a choice of colours and can be pantone matched on request for a small additional fee. Some models such as the USB card can be printed digitally in full colour at no extra cost – please check with your account manager if unsure. With our in house design facilities we can provide you with a FREE digital mock up of exactly how your product will look with your required design or branding. Simply send us the image or a logo that you require and we will send you the digital visual for your approval. We can also produce samples on request. Should you find the same quality of product delivered in the same time frame and they are cheaper than prices quoted by us then come back to us, and we guarantee a price match! We will need to see details of the price and the product you have been offered to check it’s like for like and then we'll match it. From the start you will be assigned your own USB2U Account Manager. Our Account Management team have years of experience in the branded technology products market. Your own Account Manager will guide you through the process from choosing the right product and accessories to placing an order, and will look after your order all the way to the point of delivery. If you need your product in a hurry call us on 01604 685040 - we hold stock in the UK and are able to turn around USBs, tech gifts, power banks and packaging printed with a company logo in just 24 hours. * Additional charges for Express Service may apply.